Mr. J. Bart Miller has over 30 years of experience in providing risk management and insurance to professional practices, businesses and not-for-profit clients. Over the years, Bart has become a trusted strategic advisor to those he serves. Prior to co-founding Sterling Risk Advisors in 2003, Bart was a Partner at one of Atlanta’s oldest insurance brokerage firms. Before entering insurance he was Vice President of Atlanta’s Northside Hospital for 16 years. Bart attended the University of Georgia for two years before transferring to the Robinson College of Business at Georgia State University where he earned both a Bachelor’s and a Master’s degree. While in college he was a member and officer of Kappa Sigma Fraternity. Before college Bart attended The Baylor School, Chattanooga. He has remained active at Baylor over the years receiving its Distinguished Alumni Award in 2010 and its Distinguished Service Award in 1995. Bart has been a part-time faculty member at Georgia State University and currently serves on Board of Visitors of Georgia State’s Honors College. In 2015 he received the Professional Achievement Award from the Institute of Health Administration at Georgia State University. 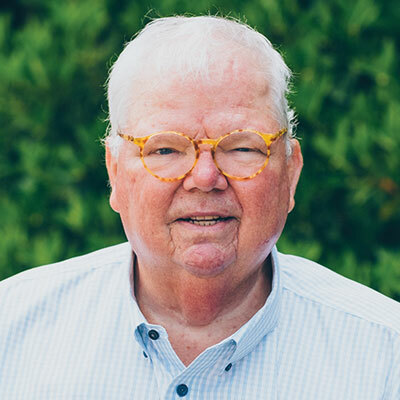 With a dedication to giving back to the community, Bart has served on the Board of Trustees of Holy Innocents’ Episcopal School and currently serves on the school’s Board of Advisors. He received the school’s Distinguished Service Award in 2015 and was named to the Holy Innocents’ Episcopal School Athletic Wall of Fame in 2010. Bart has been active in the Boy Scouts of America as an Eagle Scout, Scoutmaster and as Camp Chief of Wood Badge Training. He currently serves Troop 232 – Atlanta as an Assistant Scoutmaster. He has received the Silver Beaver Award for Distinguished Service to Youth from the Boy Scouts of America. Bart also served on the Board of Trustees of the George West Mental Health Foundation / Skyland Trail from 1990 to 2011. He is a member of University Yacht Club on Lake Lanier holding several positions over the years including Fleet Captain Sail and Club Commodore. He and his wife Carol are active parish members of Holy Innocents’ Episcopal Church. They have three children – John, Elizabeth and Bartley and seven grandchildren.